In general, teaching languages can prove difficult to most without suitable teaching materials and instructors. Fortunately, e-learning courses make student learning of both language and culture easier through information communication technologies. 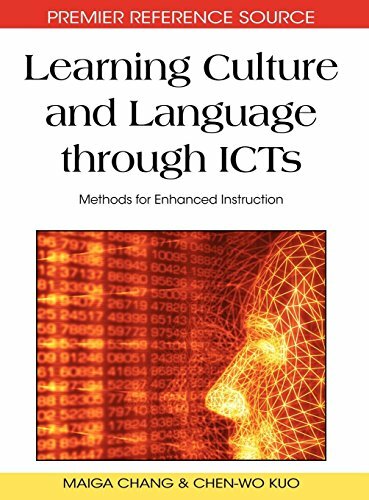 Learning Culture and Language through ICTs: Methods for Enhanced Instruction offers students, instructors, and researchers an authoritative reference to the current progress of language and cultural e-learning. A high quality collection for libraries and academicians, this book covers pertinent topics such as second language learning and computer learning principles. View More In Workplace Culture. If you have any questions about this product by Brand: IGI Global, contact us by completing and submitting the form below. If you are looking for a specif part number, please include it with your message.